Rigid E.V.A. rocker sole and contoured heel for added patient comfort. Rigid E.V.A. rocker sole and contoured heel for added patient comfort. Low-profile foam/nylon mesh upper with tricot lining. Protective tongue provides maximum comfort. Available in loop-lock or lace-up design. 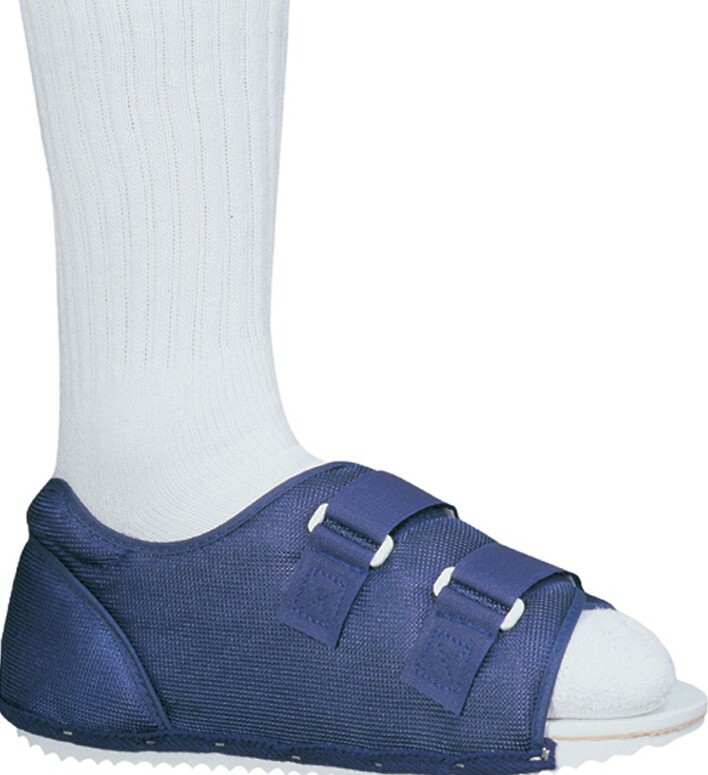 Ideal for post foot surgery; metatarsal injuries; soft tissue procedures. I broke my first two toes. Can this product be used as a "walking cast" so I can walk whilst my toes are healing? non of our post-op shoes have wood soles.